Michael "Mickey" Clay Rhodus, 63, of Lancaster died peacefully with his family by his side Monday, March 25. Mickey was born on April 19, 1955 in Lancaster, Kentucky to Woody and Darrel Rhodus, of Buckeye, both who preceded him in death. Mickey was a graduate of Garrard County High School and worked for Delta Air Lines for 30 years. He was a passionate supporter of the University of Louisville and an avid golfer. Mickey was a loving husband, father and grandfather. Mickey is survived by his loving wife Tammy (Naylor) Rhodus, daughters Courtney Rhodus and Kristen (James) Hood, granddaughters, Harper and Hadlee Hood, brother, Steve (Debbie) Rhodus and many nieces and nephews. 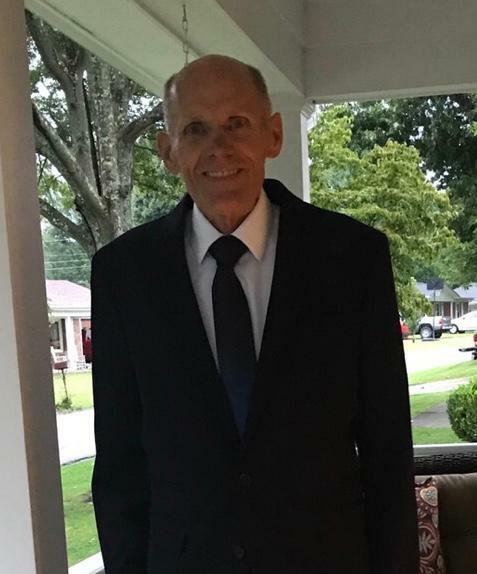 Funeral Services for Mickey will be 11:00 AM Friday March 29, 2019 at Spurlin Funeral Home Chapel with Rev. Val McCord officiating. Visitation will be 5-9 PM on Thursday. Burial will be in Lancaster Cemetery. Pallbearers are Chris Broadus, Morgan Gilliam, James Hood, Steve Rhodus, Daniel Rhodus, and Billy Broadus. Honorary Pallbearers are Vince Marsh, Steve Clay, Billy Spurlock, Jerry Murphy, Chilma Bates, Brittany Bates, Carrie Lafoe, Delores Kersey, Amber Light & our entire Delta family. In Lieu of flowers, the family will accept donations for granddaughters Harper and Hadlee's education fund.